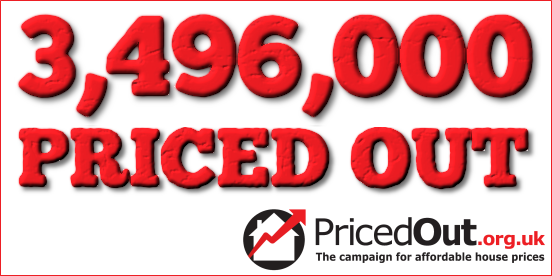 The PricedOut Index is a unique monitor on the state of the UK housing market from the perspective of renters. Our Index uses the most up-to-date official data to model how many taxpayers who are currently living in private rented housing are currently unable to afford homeownership. We draw on a detailed breakdown of income data and the latest prices currently being paid by first-time buyers. The latest figures show that a total of 3,496,000 taxpayers are trapped renting by unaffordable house prices. 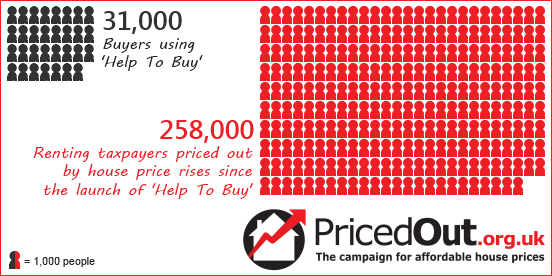 This represents an increase of 258,000 since March 2013 when the Coalition government's "Help To Buy" schemes were launched.